With a new coffee shop popping up around every corner, it's clear there's some competition for the best gourmet coffee. Most of the coffees listed below can be enjoyed fresh in your home every morning thanks to online delivery. Try as many as you can. Known as the "grandfather of specialty coffee," this Berkeley, California company brings us the number one gourmet coffee. Peet's remains a tried and true favorite by sticking to its foundational 1960's philosophies of offering quality, artisan-crafted coffees. With four decades of roasting behind them, expect full flavor from all their blends. Awarded best macro-roaster of 2007 by Roast Magazine, Chicago-based Intelligentsia is at the top of its class providing fair-trade and direct-trade coffees. With a heart for people involved at all stages of the game, Intelligentsia offers exceptional gourmet coffee you can feel good about drinking. Voted best coffee roaster by Seattle Magazine, Café Vita Coffee Roasting Company is the local answer to mass-market coffee. Found in great restaurants throughout the city, as well as at their own three coffee shop locations, people across the country can enjoy their fresh-roasted beans by ordering online. They say it's "where coffee meets art." A long time leader in the gourmet coffee market, Illy is known for its classic Italian espresso. In business for over 70 years, they've got a handle on quality. Find their coffee online or at finer groceries and coffee shops throughout the country. A small-scale roastery in Chicago, IL, Metropolis Coffee produces less than 100,000 pounds per year and was awarded best micro-roastery of 2007 by Roast Magazine. Focused on quality at every coffee juncture, from grower to barista, they specialize in light to medium blends. 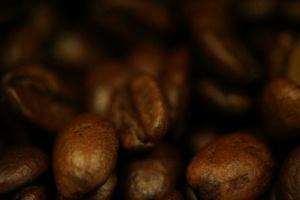 You may have heard Kona coffee is some of the best available. Well, KOA Coffee Plantation has ranked among the best in the Kona category in multiple coffee competitions. Offering Hawaii's best known coffee through their online store, images of ocean beaches and sea breezes can float through the minds of coffee drinkers anywhere. Portland's hometown favorite, Stumptown coffee has taken this Oregon city by storm. Now available in many independent coffee shops and fine cafes around town, this coffee is known for its full-flavor kick. Not available online or by special order, you'll have to get a fresh cup during your trip to the Pacific Northwest. Voted number one coffeehouse by Minneapolis-St. Paul Magazine and the local City Pages, Dunn Brothers is a local favorite. Though this is another gourmet coffee that can't be ordered, with shops popping up all over the Midwest, folks from South Dakota to Kansas can enjoy the flavor of this fresh-roasted coffee. Offering the Honduras Caballero blend, a prestigious Cup of Excellence recipient, Ceremony Coffee Roasters (formerly Caffe Pronto) is based in Annapolis, MD. Don't let that stop you from enjoying their coffee. Take advantage of the monthly coffee club to enjoy the best gourmet coffee no matter where you live. You knew you'd find them somewhere on the best gourmet coffee list. The company responsible for changing America's taste from canned to fresh, Starbucks can be found throughout the country and world. They are among the best for providing consistent coffee no matter which location you visit.